Use these comparisons to examine trends based on time of year, weather patterns and other details provided in the tournament reports and other tools. See who does well on certain bodies of water. See how a given lake fishes and what it might take to win the next time YOU'RE there. 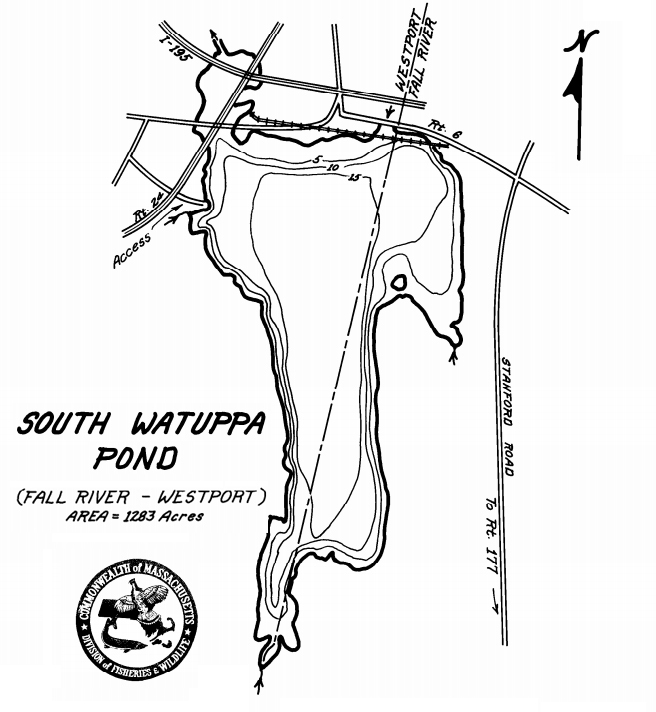 Click on the map image to download the full pond map PDF from the Massachusetts Division of Fisheries & Wildlife. The map contains access info, history, fish populations and more. Average weight per fish: 2.27 lbs. Average weight per fish: 1.72 lbs. Average weight per fish: 1.61 lbs. Average weight per fish: 1.33 lbs. Average weight per fish: 1.27 lbs.